You starts out as a love story: a boy-meets-girl tale like many others but, in no time, turns into a nightmare that hits too close to home for many women. The protagonist, a relatively good looking and charming young man named Joe falls in love at first sight with a pretty girl named Beck, who likes the same books as he does and dreams of being a writer. We are showered with mixed signals about how to feel towards Joe as he stalks the object of his affection but simultaneously shows his caring side by helping out his neighbour Claudia, who struggles with drug addiction and an abusive boyfriend while trying to raise Paco, her young son who loves reading and bonds with Joe over their taste in Literature. The show constantly switches between showing this humane side of Joe and his not-so-sane nature, as he kidnaps, tortures and even murders people, all in the name of his love for Beck, who has a double life of her own. Throughout season 1, we are constantly kept on our toes as to what Joe's next step is going to be and whether he has it in him or not, we can't help but wonder if he really is that bad a guy, only to have him do something horrific the next moment. 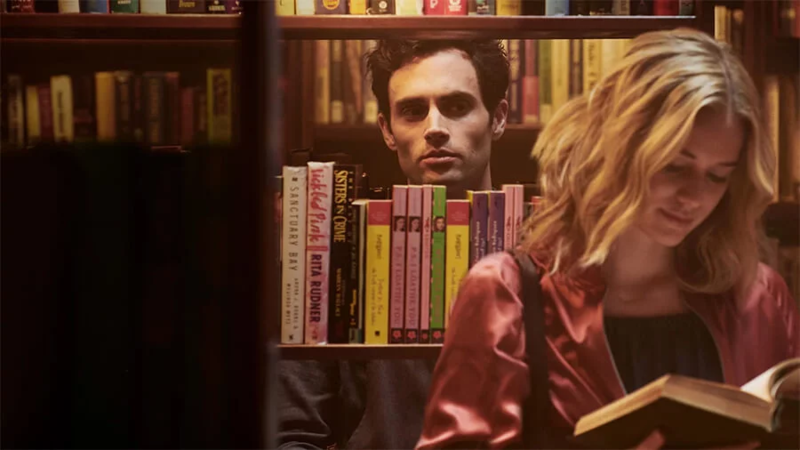 Casting Penn Badgley as the male lead feels like a calculated choice: his character in You is reminiscent of Dan Humphrey from Gossip Girl, the cute but poor guy who seems to only mean well, except here he is also a sociopath. This is an intense show that isn't afraid to get real in its portrayal of drug addiction, abusive relationships, toxic friendships, and obsession. Season 2 is coming soon on Netflix, so more secrets will be revealed and hopefully, loose ends will be finally tied.